Peter Yeadon (Professor, Interior Architecture) is featured as part of an exhibition entitled Green Revolution–LAGI: The Future of Energy is Here at the Lancaster Museum of Art and History (665 West Lancaster Boulevard, Lancaster, CA). 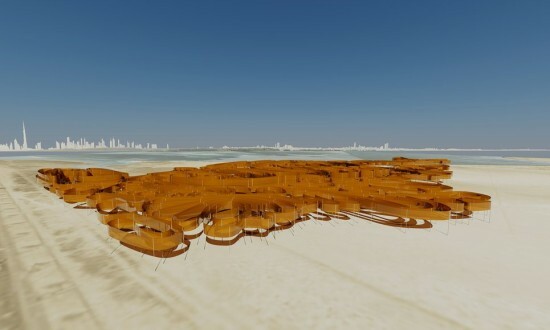 Yeadon’s project Light Sanctuary was a large solar powered generator designed in 2010 as a land art installation that generates 4,500 MWh of power annually for Dubai, UAE. The exhibition runs from now until 17th March 2016. For the Guardian article featuring the Light Sanctuary project click here.